The case of Tommy Robinson, or to give him his real name, Stephen Yaxley-Lennon, has brought this issue into the public eye, but what is it all about? The interesting thing about contempt of court is the many ways in which it can be committed. It can be civil or criminal in nature. This means that conduct that is not itself a criminal offence but is punishable by the court. Criminal contempt goes beyond simple non-compliance. In Yaxley-Lennon’s case, it was his reporting and commenting on a trial which was in progress with the potential to prejudice those proceedings. He had previously committed the same contempt by attempting to film defendants within the precincts of a court last year. In a case in Sheffield, contempt of court was committed by protestors who had given an undertaking not to go within a safety zone erected around trees that were to be controversially felled. In the civil court a freezing order was made against Andrew Camilleri, he breached that order on a number of occasions which led the claimant to make an application to the court for committal for contempt of court. A further case involving breaches of freezing orders made in the civil court was that of Davies, involving persistent, deliberate breaches. A witness who refused to give evidence after ignoring a witness summons and being brought to court found himself on the wrong side of contempt of court proceedings. 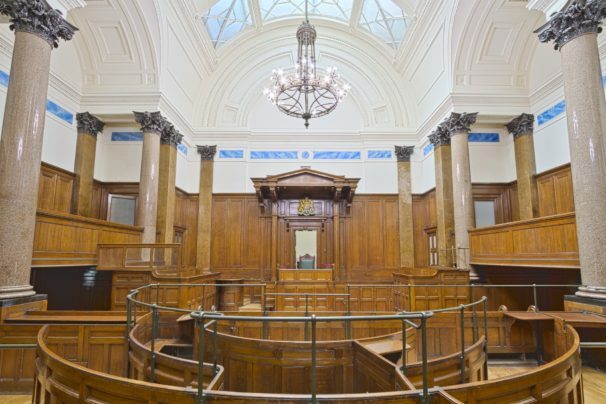 A defendant who had an outburst in court during his sentence hearing, then refused to apologise, followed by another outburst, was dealt with for two contempt of court offences, in addition to the offence for which he was already being sentenced. A lady took photographs inside a court building, of a defendant and friends making ‘gestures of defiance and contempt’ inside the court precincts with the court notice board behind them. The defendant was also found to be in contempt for inciting the taking of the photograph. So, tread carefully, it is easy to find yourself in the dock. Up to two years imprisonment at the crown court or one month at the magistrates’ court (although it can be up to 2 months in relation to some civil orders. Yaxley-Lennon received ten months imprisonment for his latest offence to be served consecutively to three months imprisonment for the offence last year as he had been on a suspended sentence for that, this is currently subject to appeal. Two of the tree protestors received suspended prison sentences of two months. Camilleri was fined £100,000 whilst Davies was given a sentence of 12 months immediate imprisonment. The witness who refused to give evidence was given 12 months imprisonment, reduced to three months on appeal. The defendant with his repeated outburst was given three- and six-months imprisonment consecutive to each other, and also to the 20 months for the original offences. The photograph taking offender was given 21 days imprisonment, the defendant who incited the taking of it was given 28 days. It can be seen that there are some contempts that the general public may not even realise could land them in trouble with the courts. We are experts in this area and can advise and represent you. Please contact us on 0113 247 1477 or email us at [email protected] if you would like to discuss any aspect of your case.